This section of the audit is focusing on the business side of your company. Having a mixture of services and products helps to diversify your business income as well as expenses. If you are like most small business owners then you launched with only one aspect (services), but that doesn’t mean you shouldn’t be developing the second element (products). If you are a newborn photographer you could offer beautiful photo books. If you are a family portrait photographer you could offer different canvas options. If you are a wedding photographer you could offer some fantastic keepsake album choices. Your products should have a consistent and clear pricing scale, displaying why a product is worth more than another. When you look at the products you are offering make sure that this is obvious. Also, make sure you are providing your clients with products from a mixture of price brackets. You’re far more likely to make a sale if there is something available for everyone. Regardless of whether you have started to offer products or not, it is worth asking yourself critical questions about what you are or could be offering your clients. If you are planning to add products, think about how these products will add to or enhance the customer experience with your brand. 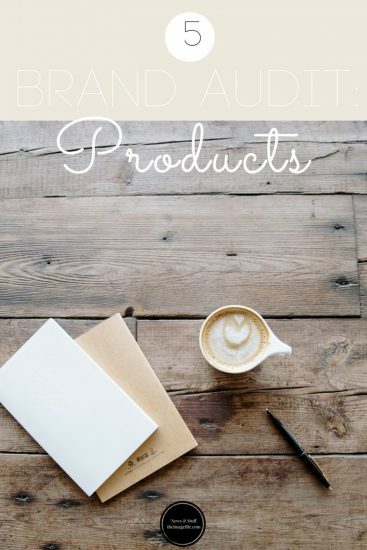 Also remember to take a look at the other parts of this brand audit, including the importance of conducting a brand audit, setting your business goals, auditing your services, and tweaking your content.